They want you to believe the hype. They have sold the illusion well. 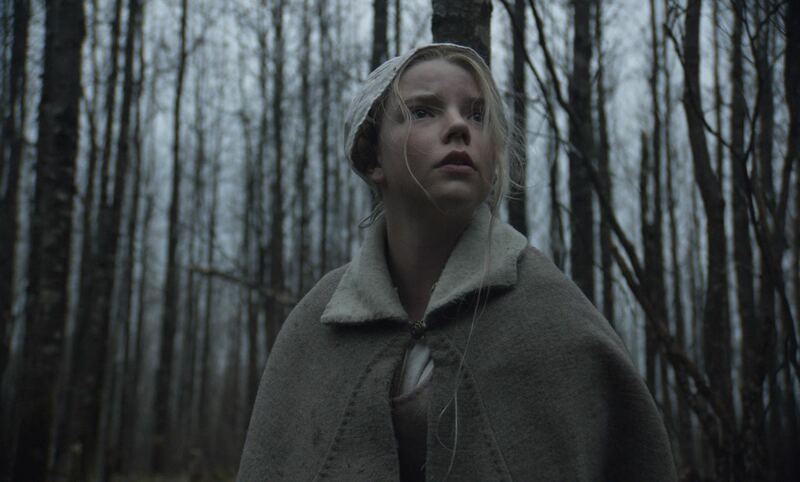 Everywhere you turn – whether it is in media plugs or face-to-face acknowledgments – “The Witch” is the latest commodity hot on the lips of filmgoers, who have lauded the endeavor as a bold new precedent in the method of modern horror movie approaches. What that practice entails, however, isn’t nearly as profound as so many colleagues and observers have bought into. Perhaps the relative ambiguity of it all gives it a quality of fascination, and it’s easy to see why; we live in the clutches of a horror genre now drunk on the blood of its own gratuity, and the mere suggestion that all of it can be restrained for the sake of evoking a mere mood seems like such a novel concept. But it is one, in either case, that is already familiar to anyone who has ever taken the time to look beyond the mainstream supply of hack-and-slash vomitoriums. Psychology is the driving force of the most resonating scarefests, and good ones will take their time to silently unravel our security before hitting us with the sensational stuff. Unfortunately for this one, that trajectory is uncertain in a premise that seems orchestrated from an absent-minded perspective. There is nothing wrong with keeping with obscure traditions. Those that are seldom practiced can often be refreshing, especially if a movie uses it for the sake of keeping rhythm with a more meditative premise. But the strange and mystifying experience that is “The Witch” is not a movie made by a man who sees it that way. He wants to get under our skin in all the workable ways – at first by creating shaky characters and then throwing them into plot points that will defy explanation – but is lost in a thought process that is arrogant, labored and detached from the core of its own intention. As I watched it, my obligatory discomfort and wonder was interlaced with some level of impatience, because I knew it all lacked a well-rounded consideration of these ideas. And for every question we may have about what is transpiring in the wilderness that is this plot, no answer is powerful enough to offset the reality of the climax, which doesn’t so much offer solutions as it caps off the experience with a dreary and mechanical jolt. On the other hand, one suspects the screenplay would be a hell of a good read-through. The story involves a family of close-knit religious 17th-century colonists, who in the early scenes wander into self-imposed exile from their village in order to live a more free life in the countryside (translation: one that is less likely to restrain their religious fundamentalism). Conveniently they stop and settle on the edge of a forest of tall trees, but the menacing hooks don’t stop there. The land is encroached by an eerie quiet. Nature is bathed in murky shades. Storms and still air create a feeling of paralyzing muck, and the farm’s crops show no significant growth. One day, while the oldest daughter Thomasin (Anya Taylor-Joy) is caring for her infant brother at the edge of a crop field, he disappears without a trace; the family (in particular the distraught mother) subsequently prays for his safe return, even though the scenes that follow offer us frightening glimpses into a tragic fate. For the movie, and therefore the audience, there is no doubt that a legitimate witch may be wandering in the wooded areas nearby. Images do more than just suggest that certainty. Yet her presence, as prominent as it seems, is just an elaborate conduit for shifting attitudes in the characters, who discuss the possibility at arm’s length and then allow it to overwhelm their sensibilities, causing internal psychological erosion. Thomasin, the eldest of the children, is frightful and estranged from her mourning mother, and there are private discussions about moving her out of the family. The father (Ralph Ineson), a towering figure with rough facial features, is caught in moral uncertainty by the proclamations of Katherine (Kate Dickie), who believes her infant son was possibly abandoned by their careless daughter. Because he loves both wife and child, however, that obligates him to struggle with reaching the common ground between both. The eldest boy Caleb (Harvey Scrimshaw), who only desires to promote docility, takes disastrous initiative in a key moment of the plot, and wanders right into the lair of a beautiful monster destined to wound him. And the young twins (Ellie Granger and Lucas Dawson) balance childlike annoyance with a youthful suggestion that they know exactly what is going on, even when it isn’t obvious to any of the adult figures. These particulars ebb and flow in the fabric of a movie that looks great, builds immense atmosphere and then allows it all to putter out well before we are even close to reaching any significant momentum. And that’s a sad reality, given the deep degree of conviction of filmmaker Robert Eggers; as a man new to the scene of feature-length compositions, there is no doubt he was paying attention to the rhythm of macabre folklore long before he set foot behind a camera. Yet there is a sense in the movie that he wants to rush through the details in order to arrive at revelations or bombshells, robbing himself of the possibility of deeper study. There are certainly fearful proclamations aplenty running through each of the exchanges, and many of the scenes have a gothic edge seeped in some level of intrigue. But they are hallowed out when they should be more lingering, reducing our questions to brief thoughts that leave us with nothing beyond momentary fascination. There are some silver linings regardless. All of the performances are modulated with some level of believable hysteria, as they are allowed to progress from simple acknowledgments to outright fervor by the actors embodying them. The movie is also wise to limit its desires to take us right into the lair of the supposed witch; because the movie only sets foot into the forest on a couple of occasions, that allows us to reach quiet discomfort with the external possibilities, especially as it seems to bring the characters to a pitch of frightful awareness. But I can’t regard anything that goes on here deeply because none of the material wants to penetrate the membrane of this idea. Perhaps a movie that was a bit longer than 92 minutes might have helped. Because it is with time and focus that the details begin to inspire the most lasting impressions; by then, we have been allowed to soak them up into genuine theories. “The Witch” is simply caught in that strange predicament of wanting to reach the pinnacle of our anxiety without setting us up for all the pieces of the routine. I was hoping to find a review that cogently expressed my disappointment with this essentially artful but still very over-rated film. Thanks! Scariest part of the movie was the rabbit. Awful.